The cold weather is approaching, so this is the time to order from the Tattini and Daslö winter rug collection! Renewed materials, unchanged reliable quality. The new additions to the well-known product range are already available in our webshop. The greatest virtue of the new collection is that it takes into account the returning complaint that the whole-season wardrobe may leave bruising on the horse's mane or coat in certain places. 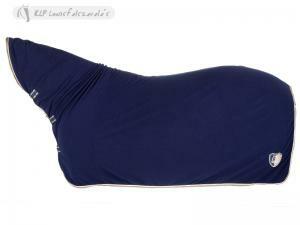 To avoid this, a faux-fur hem has been stitched to the neck/wither area of the rugs, furthermore there's a new "hood" also available to protect the horse's breast. 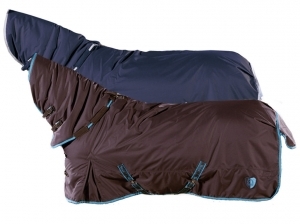 Horizontal quilted, 420D nylon outer shell, 330 gr. of polyfill padding. 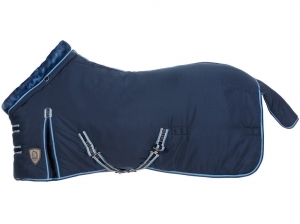 Provided with tail flap, enveloping neck, in soft synthetic lambswool with withers pad, high front leg gussets, double chest straps with snap hooks, D-rings and buckles with additional velcro support between the straps. Cross surcingles with inside elastic insert near the T-hook, matching with trim color; elastic leg straps with hooks, with the possibility to use the detachable neck (not included); embellished with the Tattini logo. 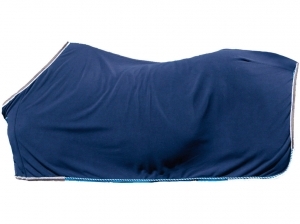 Perfect fit, soft and resistant external fabric in 600D nylon outer, interior quilted, 400 gr. 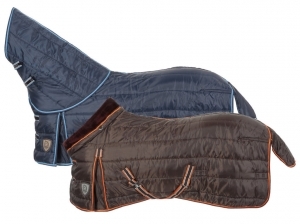 padding; enveloping neck in soft synthetic lambswool with withers pad; leg gussets at sides, chest straps with snap hooks and buckles, D-rings and additional velcro support between the straps. 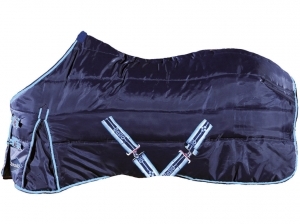 Provided with tail flap, cross surcingles with inside elastic near the T-hook, elastic back leg straps. Possibility to use the detachable neck (not included); embellished with contrasting trims and Tattini badge. 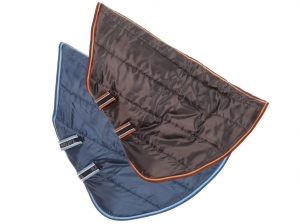 Quilted 420D nylon outer shell with polyfill 330 gr. padding. Provided with velcro closing, elastic straps with snap hooks to fasten to the rugs 2603599 and 2603799. In 400D nylon outer, 150 gr. 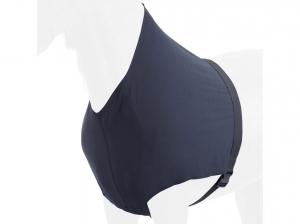 padding, provided with half cross surcingles and elastic inside insert, horizontal quilted, chest straps with buckles and additional velcro support between the straps, high chest straps, elastic back leg straps, synthetic lambswool withers pad. Made in techno stretch fabric, contributing to prevent burn-out. With high detachable neck, provided with velcro closure, buckles and 2 snaps. Made in very strong nylon 600 D double rip stop, waterproof, windproof, breathable with 300g padding. Provided with tail flap, front leg gussets for extra freedom of movement, double chest straps with two snaps in addition to D rings and buckles for further regulation. Branded surcingles with colour contrast trims, rear leg straps. Decorated by colour contrast Tattini logo and leaves embroidery.The size refers to the length from chest to tail. 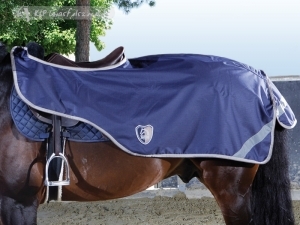 Tattini breathable and waterproof paddock rug. 600 D fabric, 200 gr padding, nylon lining, tail flap, front leg gussets, front leg straps, cross surcingles. 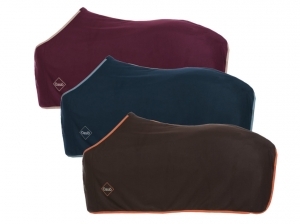 Fleece walking rug with extended neck from Tattini. Fleece Rug from Daslö. Anti-pilling 250 gr. 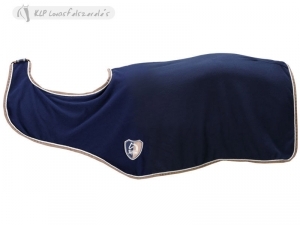 fleece, chest strap with snap hook and tail flap. Made in very strong nylon 600 D double rip stop, water proof, windproof, breathable, with 300 g. padding. Provided with double chest straps with two snaps in addition to D rings and buckles for further regulation. Decorated by Pony multicolour embroidery, matching Tattini logo.The size refers to the length from chest to tail. 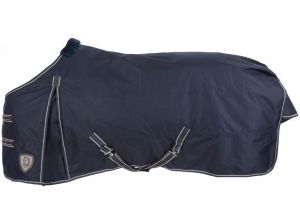 Horizontal quilted, 420D nylon outer shell, 330 gr. 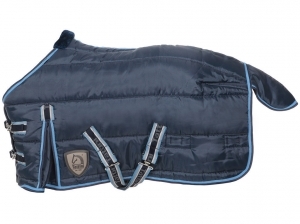 padding, provided with tail flap, double chest straps with snap hooks and buckles with additional velcro support between the straps, withers pad in synthetic lambswool, cross half surcingles with elastic inside insert near the T-hook; contrasting two-tone color, embellished with Tattini logo. 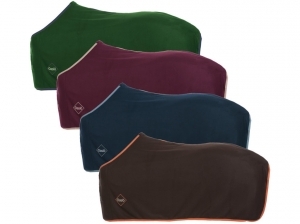 Daslö pony stable rug from Tattini. Pony fleece rug from Daslö. Anti-pilling 250 gr. fleece, chest strap with snap hook and tail flap.